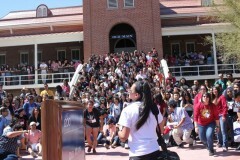 MEChA National Conference unites for future fights | Fight Back! 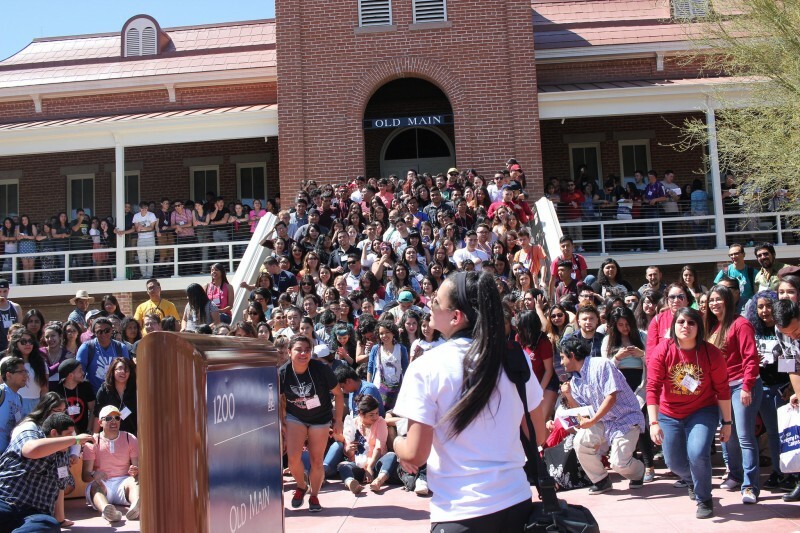 Tucson, AZ - Over 400 students from all over the country traveled to the Movimiento Estudiantil Chicano de Aztlan (MEChA) National Conference, held in University of Arizona in Tucson, March 18 and 19. The conference included workshops dealing with history, identity, sexuality, current issues and organizing work. Several organizations gave workshops on the Mexican cartel money laundering by U.S. banks and the struggles in Latin America to name a few. MEChA regional meetings include discussion on issues and campaigns to take up in the near future. Topics included immigrant rights and police brutality. The Legalization for All Network traveled to the MEChA conference not only to learn from the student movement, but to unite forces in the struggle for liberation and against deportations. Several keynote presentations were given, including talks by Professor Roberto Rodriguez, Dr. Cintli, professor of Mexican American and Raza Studies and Associate Professor Patrisia Gonzales both from the University of Arizona. The three workshops the Legalization for All Network led were: “Chicanx Struggle for Self Determination” with Sol Marquez of Centro CSO in East Los Angeles and long time Chicano revolutionary Carlos Montes, covering the story of resistance and current struggles in the Chicano/a movement; “Building Bridges, from Ayotzinapa, to Palestine, to Black Lives Matter,” by YES (Youth Empowered in the Struggle) from Milwaukee, Wisconsin and “Legalization for All: Immigrant Rights Struggle for Equality” with Camila Flores of YES and Marco Blanco of Minnesota Immigrant Rights Action Committee (MIRAC), on the current fight for Deferred Action and legalization for all. Many present at the workshops led by the Legalization for All Network asked how to organize their own May Day rallies and others wanted long-time Chicano revolutionary Carlos Montes to speak at their schools. Plans are now under way to mobilize May Day protests and rallies throughout the U.S. to demand immigrant rights and an end to the racist attacks against immigrants, especially Mexicans and Central Americans. Other plans for the Legalization for All Network include a Supreme Court call-in day, initiated by Centro CSO in Los Angeles, on the first day of hearing on President Obamas Executive Order on Deferred Action for Parents of Americans (DAPA) and Deferred Action for Children Arrivals (DACA). Please participate on April 18: https://www.facebook.com/events/498475330336202/ and join your local May Day protests. To contact or become a part of the L4A Network please contact them directly at: [email protected] or legalizationforall.wordpress.com.